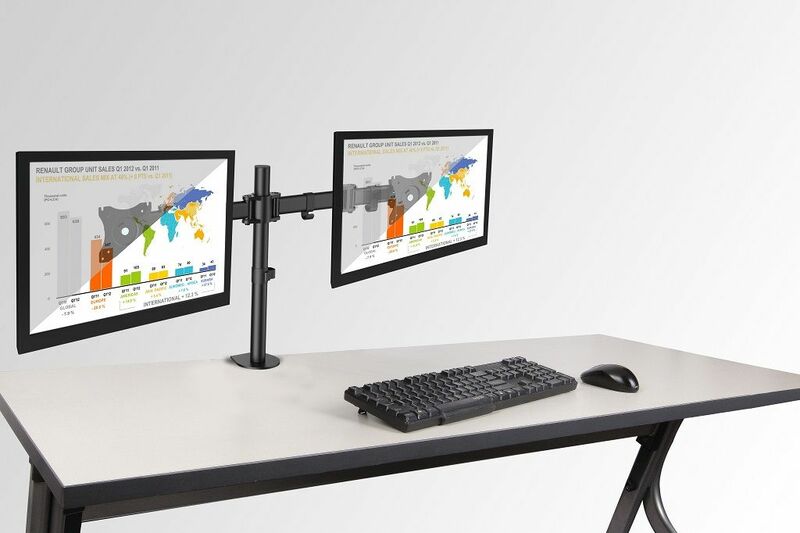 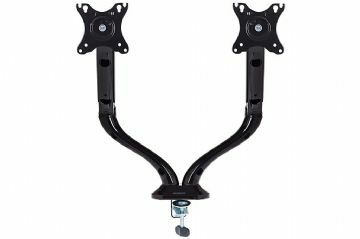 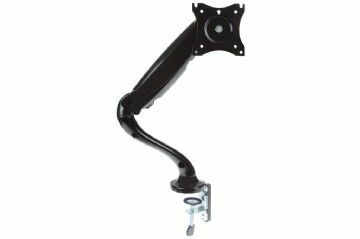 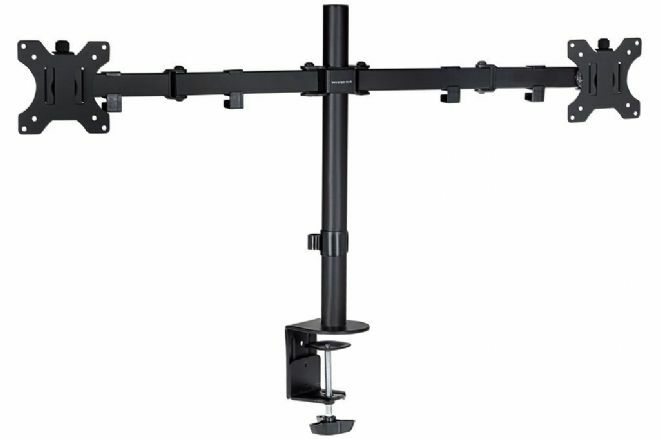 This double arm desk mount is designed for two computer monitors, LCD and/or LED televisions. 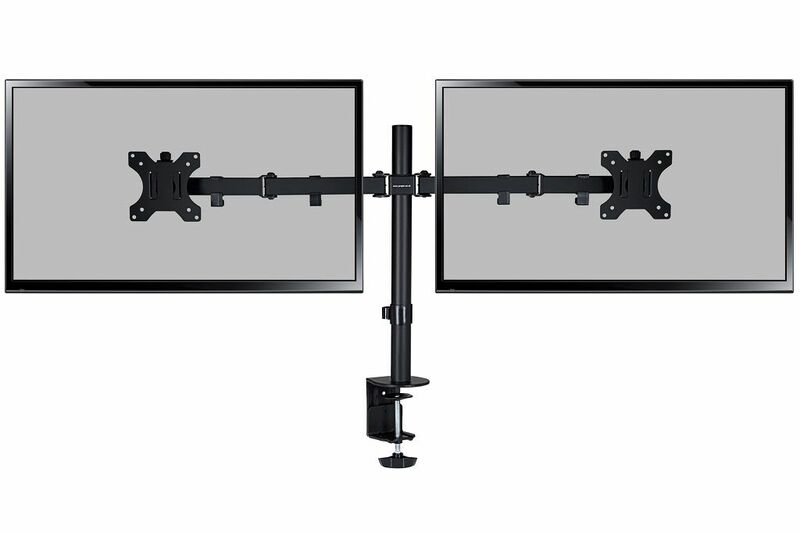 With double extension functions on both arms it allows extra flexibility when deciding on the positioning of both screens. The bracket is attached by a screw to a table surface with a thickness of 1 to 9 centimetres (0.4 to 3.5 inches). 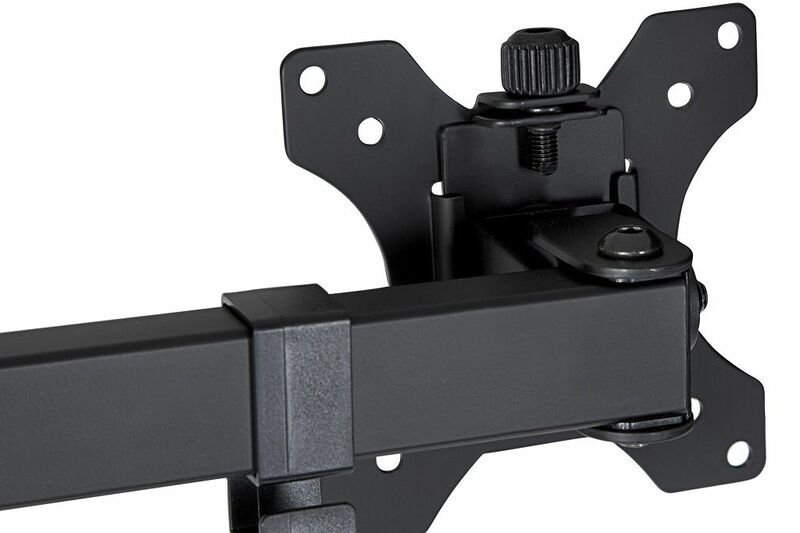 Rubber supports protect the furniture surfaces from possible physical damage during the mounting of the bracket.